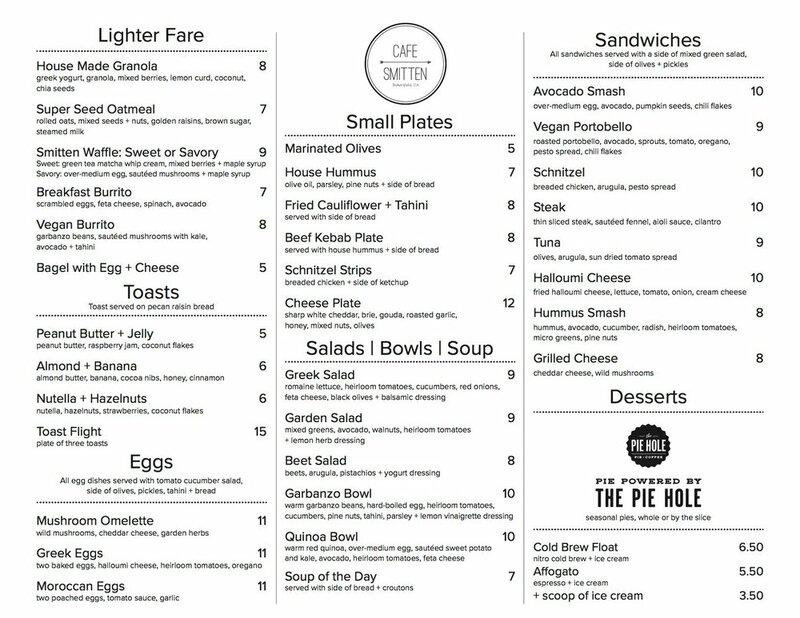 Cafe Smitten serves specialty coffee, house made food, local desserts and exceptional hospitality. For many years, we dreamed of bringing a great coffee shop to Bakersfield. 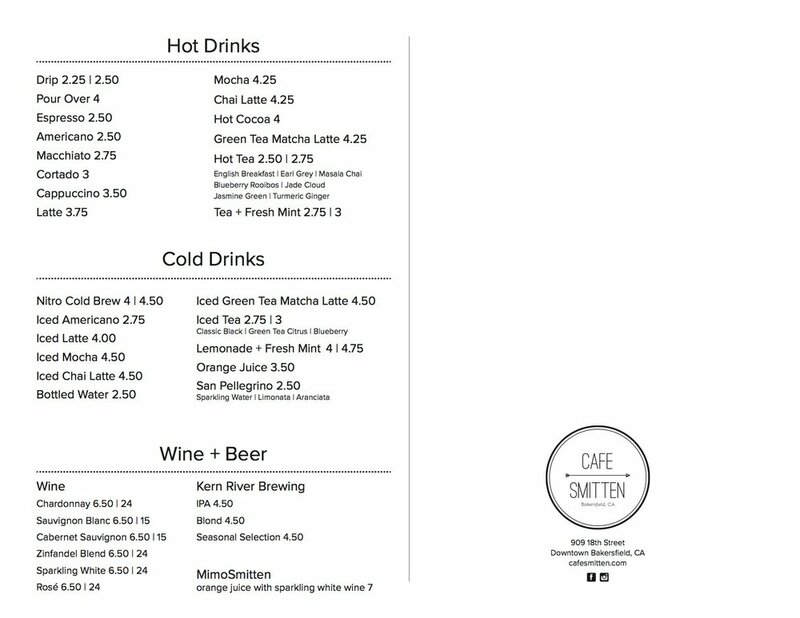 The concept of Smitten was inspired by the coffee shops we love, from San Francisco to New York. 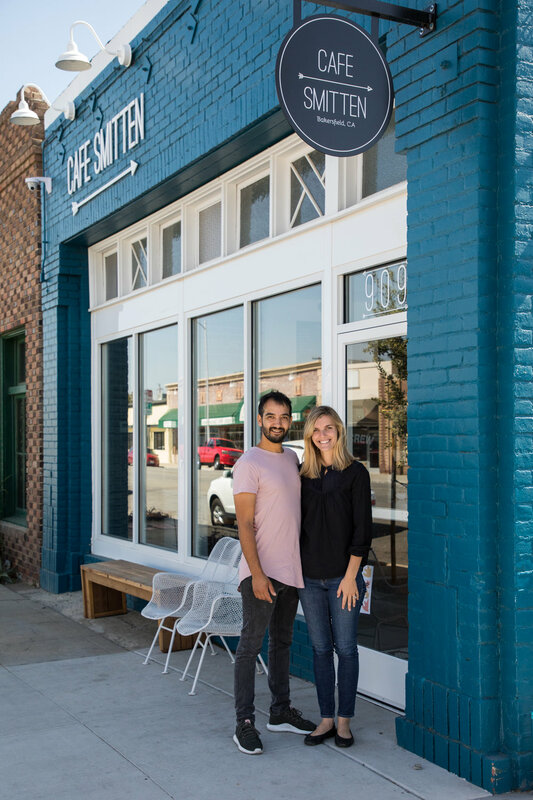 We are passionate about coffee and great food, and we are so excited to share Cafe Smitten with Bakersfield.